Elegance is the feel that I was going for in this ring. What better way to achieve that than to start with an oh so feminine sparkling pear cut stone? This one is a crystal clear Aquamarine with just a tough of blue. 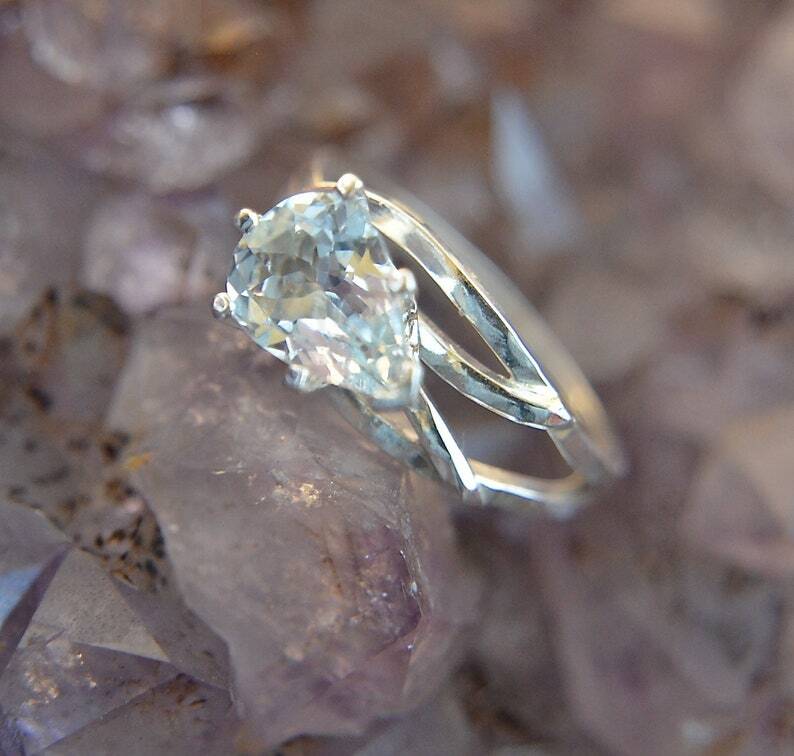 Aquamarine is a wonderfully hard and durable gemstone that has amazing light refraction which translates into sparkle. At 10x7mm and 1.35 carats, this gem is big enough to be impressive but easy to wear everyday. The Sterling Silver band is handmade by me, one little piece at a time. I started with a loop of square wire and just let it hug that gorgeous Aquamarine. I set it up just high enough to make it the focal point but not so high that it would be difficult to wear. After giving the gemstone a hug, that silver wire sweeps all the way around the finger and then flairs as it passes under the stone. Life is too short to wear ordinary jewelry!